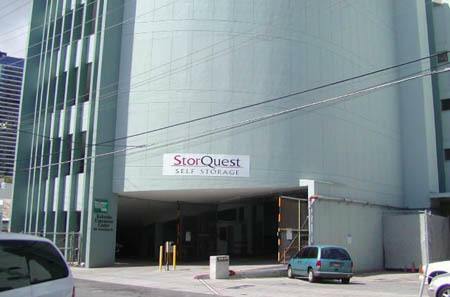 StorQuest Self Storage, in the Kaka’ako Commerce Building in Honolulu, HI, gives you the space to live a big life on the island, even when your home or office is small. 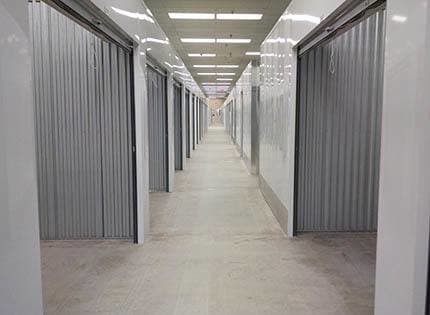 Our facility, located off Ward Ave and just two blocks from Kapiolani Blvd, has storage lockers that range in size from a single square foot to a stacked 12X8X7 ground-level unit. You may rent a box for your mail, or a unit to store surfboards for the entire family. Often, customers need some assistance with renting an appropriate space. Our friendly people can help you calculate the size of the unit you need. Our office has moving supplies available for purchase, from tape to wardrobe boxes. After office hours, you can explore our INSOMNIAC rental kiosk. Take a virtual tour, use the size estimator, rent a unit, and even pay your rental fee from one easy-to-use location. StorQuest Self Storage in Kaka’ako Honolulu, HI, has the small and large storage capacity to take the pressure off your move or remodel. Our units are also ideal for keeping business records and other documents accessible and in good shape. Contact our office to explore size options, or visit our kiosk to take a tour of our beautiful facility.